A very large and very well established regatta, the 2017 Kiel Week finished with some very noticeable performances by our Royal Cork members that were in attendance. 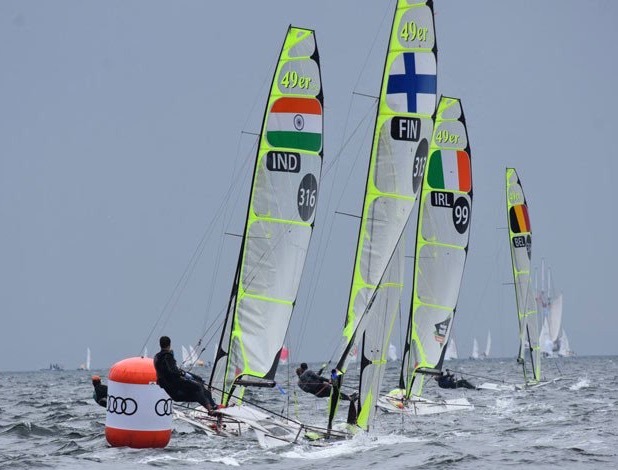 The 49er class saw Seafra Guilfoyle and Ryan Seaton ( Ballyholme YC) with a top 20 finish and best of the Irish in 18th position, while the all Royal Cork pairing of Cian Byrne and Patrick Crosbie were in sight of them finishing in 30th position overall. These were strong results in the highly competitive fleet of seventy. 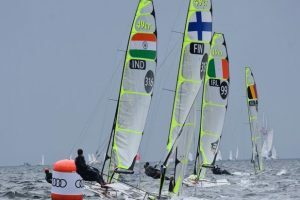 Meanwhile over on the 420 dinghy track , there were well over 130 competing boats , which also included a number of Irish competitors. But by far the most successful was the pairing of Royal Cork’s James McCann and Geoff Power ( WHSC) finishing in 7th place overall and a great achievement in such a large fleet; Hope we can look forward to more good results as the summer season rumbles on.